Maybe. Times like these make me wonder. What’s the point of writing about puzzle boxes and cocktails in a world gone mad. It seems pretty useless and unimportant. But I guess it’s just what I do to keep my sanity. Something I look forward to, and know others enjoy as well. Our hobbies help us navigate the maze. Dr. Thomas Beutner is an aerospace engineer who has worked with the Navy and the Department of Defense for many years. Simultaneously, he has been a woodworker for twenty five years, honing and refining his skills, and bringing his intelligent and clever ideas to life. One idea that has stuck him as very satisfying is the idea of a puzzle inside a puzzle box. A metapuzzle, if you will. I doubt he would need to argue the merits and appeal of this concept to most of us who enjoy this sort of thing, and he is perfectly suited to engineering this type of design, so to speak. Past efforts include his “Puzzle in a Puzzle Box” and “Pyramid in a Box”, both of which are ball stacking puzzles contained within puzzle boxes themselves. Beutner adds that these puzzles may have been more complicated and difficult than many care for, but the idea of the puzzle in a puzzle box stuck with him. As fate would have it, he came across a rather unusual deck of cards. Each card face has a clever maze drawn into the details of the numbers and suits. Even more interestingly, the entire deck is also a metapuzzle, with one card leading to another, starting with one Joker and ending fifty three cards later with the other. 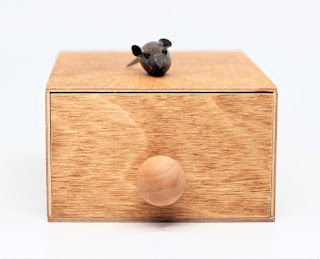 What a perfectly puzzling item to place inside a puzzle box! Beutner hit on the theme of a mouse trapped in a maze and created something rather unique. 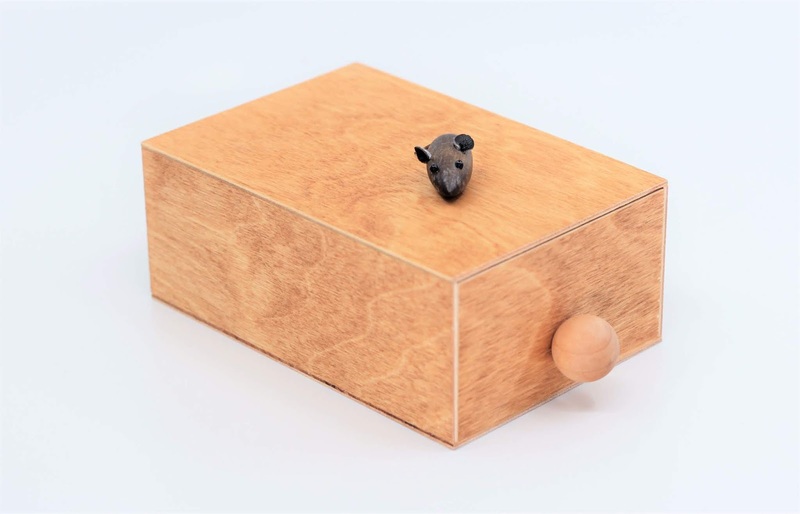 His “Of Mice and Mazes” is a delightful puzzle box, “easier” to solve according to him than his others, but that is always a relative concept. He is clearly a puzzler’s puzzler. He has added a number of elements to this box which are purely meant to confuse and distract, and they certainly work well. He comments that he has watched well-seasoned puzzlers struggle to find the first move on this box, while those with no experience get it immediately. Perhaps that is a hint, but no matter – we are all victims of our own cleverness. He says he learns something about his hobby from each new puzzle he makes. The tolerances for this box were demanding, for example, and required new precision. The locking mechanism is also unique, not seen before on any prior box. It’s truly marvelous and works perfectly with the box as a whole concept. I would go so far as to say he has created a new classic. Here’s another new classic with which to toast this metapuzzle, and another mouse adept at navigating the maze. Nancy Wake was a secret agent, French resistance fighter, and special forces operative for the Allied defenses in World War II. She was so adept at thwarting the Nazi efforts and evading capture that she became known by the Gestapo as the “White Mouse”. In one of her most daring escapades, after parachuting into occupied France, she helped lead a group of 7,000 soldiers against an army of 22,000 German soldiers to victory. She received innumerable honors and awards of distinction after the war from around the world, becoming the Allies most highly decorated servicewoman and hero. In her later years she settled in London and took up residence at the Stafford Hotel in St. James Place, a former British and American forces club during the war. She was known to enjoy her regular gin and tonic first thing every morning, sitting at her reserved bar stool at the hotel’s elegant American Bar. 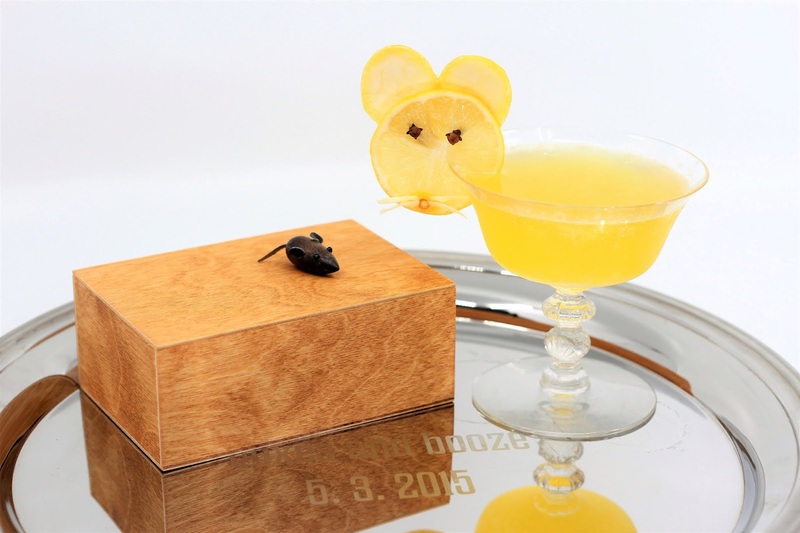 In honor of her death in 2011, at the ripe age of 98, Benoit Provost, the bar’s manager, created a signature drink, which has become the most popular item on the menu. 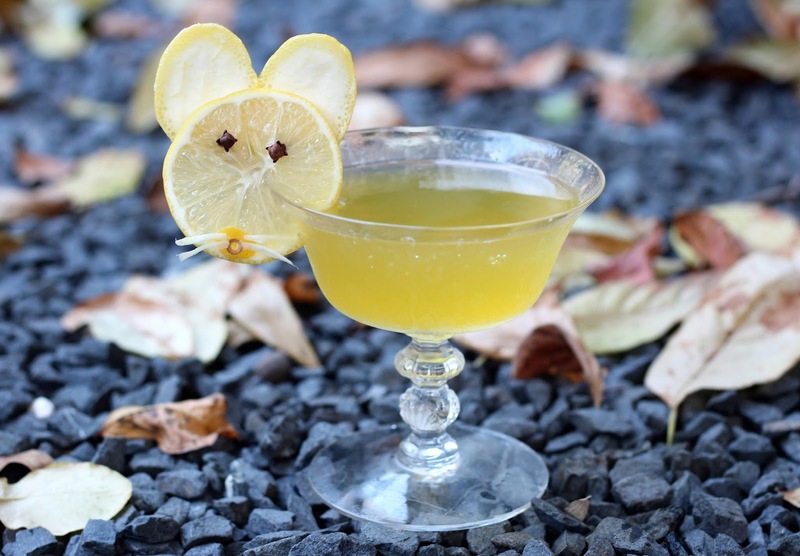 The “White Mouse” cocktail features saffron infused gin, lemon, honey-rosemary syrup and champagne. It’s elusive, deliciously complex, inspiring, and devastatingly effective. Here’s to the brave heroes who fight during dark days and inspire us to find our way out of the maze. 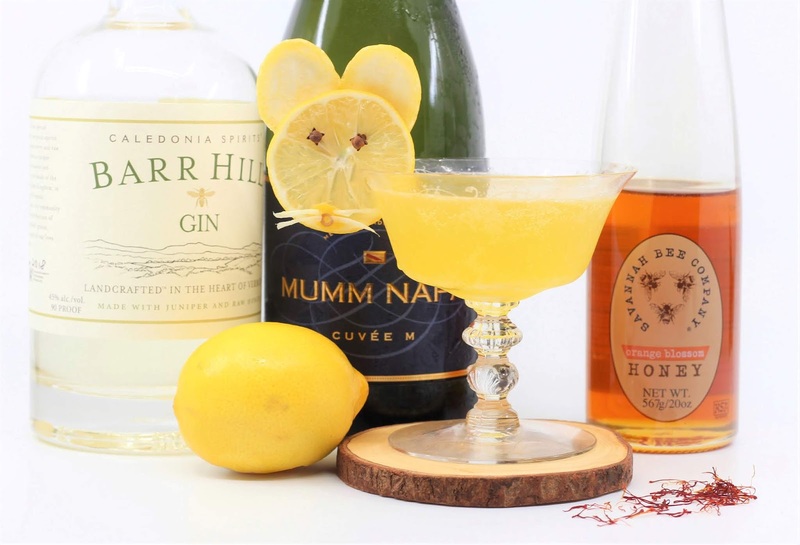 Shake gin, lemon and syrup together with ice and strain into a festive glass. Top with champagne and garnish with twist.